Earlier this week we linked to a piece by Chris Brightman and Jim Masturzo at Research Affiliates that both looks back a 100 years at capital market performance and tries to project forward 10-year asset class returns. While a great deal has changed over the past century one thing that has worked pretty well over this time period is a basic, some might say boring, 60/40 portfolio. Below you can see how this portfolio has performed over time. If you look at the past ten years you can see that the 60/40 portfolio holds its own when compared to other major global asset classes, especially when you do so on a risk-adjusted basis. The problem is that many, if not most investors, are unable to capture the returns from the capital markets from even this simple strategy. Barry Riholtz at The Big Picture notes that cognitive errors and continuing attempts at generating alpha have led many investors astray. 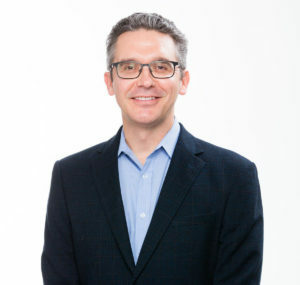 James Picerno at The Capital Spectator notes some research showing how letting others decide for us helps offset our risk aversion. Relatively simple portfolios like a 60/40 portfolio or something like the Vanguard STAR fund, which Picerno cites, can do an admirable job of capturing the cross-section of capital market returns. * A novice investor could also quite easily construct a portfolio that easily tracks these results with minimal effort. The problem as both writers note is that investors are not satisfied with these simple solutions. Are there better ways to invest than the classic 60/40? Sure there are. Will you be able to identify them in advance? Can you bear the added risk of a portfolio tilted toward higher expected returns, through the really rough times where that extra return is actually earned? 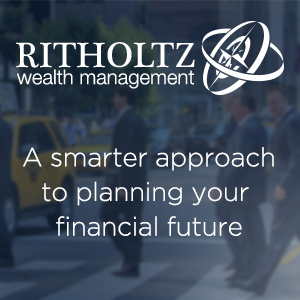 What are the costs associated with supposed “better” investment strategies? Can they be justified on an after-tax, net of transaction expense basis? These questions are ones most investors don’t ask and probably can’t answer for themselves. In their piece Brightman and Masturzo project forward relatively low real returns for a 60/40 portfolio and only slightly higher returns for a more diversified “institutional” type portfolio. ** Historically most strategic asset allocation strategies get you to the same place over time. The challenge for investors therefore is in finding a scheme that they can hold over time. As we have seen capturing the returns on the broad capital markets isn’t difficult but for many it is a challenge. One way might be to put a buffer between themselves and their risk aversion, something the new class of robo-advisors aims to do. *Vanguard even has two funds the Vanguard Balanced Index Fund and Vanguard Tax-Managed Balanced Fund that explicitly target a 60/40 portfolio. 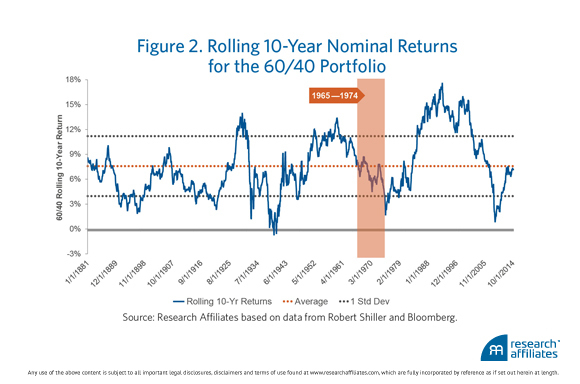 **Update: Cullen Roche at Pragmatic Capitalism also correctly notes the challenges facing 60/40 portfolios going forward given the tailwinds from a multi-decade long bull market in bonds. You can support Abnormal Returns by visiting Amazon, signing up for our daily newsletter or following us on StockTwits, Yahoo Finance and Twitter.